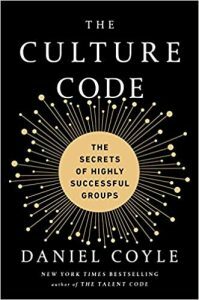 Daniel Coyle wrote the bestselling book The Culture Code: The Secrets of Highly Successful Groups in 2018 as a follow-up to his bestselling book The Talent Code. Both books are well researched and highly recommended reads by Lean East. This post summarizes several of the “ideas for action” from the book into a basic leadership action plan. Culture is not something you are, it is something you do. Coyle focuses on three keys to building a cohesive, motivated culture – build safety, share vulnerability and establish purpose. The book shares his research on each of these areas and each section has ideas any leader can implement to improve their organization’s culture. Below are 20 ideas you can begin implementing today. Please share with others and leave a comment below if you find this summary helpful. Listen to affirm and learn, not to answer. Encourage the speaker to continue and avoid interruptions. Seek first to understand. Don’t hide your weaknesses. To create safety, leaders should open up, show they make mistakes, and invite input from the team. A vital moment for creating safety is when a group hears bad news. Instead of “shooting the messenger” you need to embrace the messenger and thank them for the honest feedback. That way they will feel safe and share the truth with you in the future. 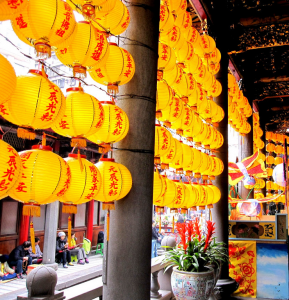 Great cultures say “thank-you” often because it ignites cooperative behavior. Great leaders know to recognize and thank the employees who do the little things well, and often aren’t recognized for it. Hire slowly and carefully but do not tolerate any “bad apples” who hurt teamwork and detract from a safe culture. Just one bad apple can kill a culture. Develop processes that ensure everyone on the team contributes. As a leader, this may be as simple as asking any silent member of the team for their input (in a one-on-one session if the member won’t share with the group). Toyota’s Andon cord allows each assembly line worker to stop the entire line if there is a problem – what a powerful voice! 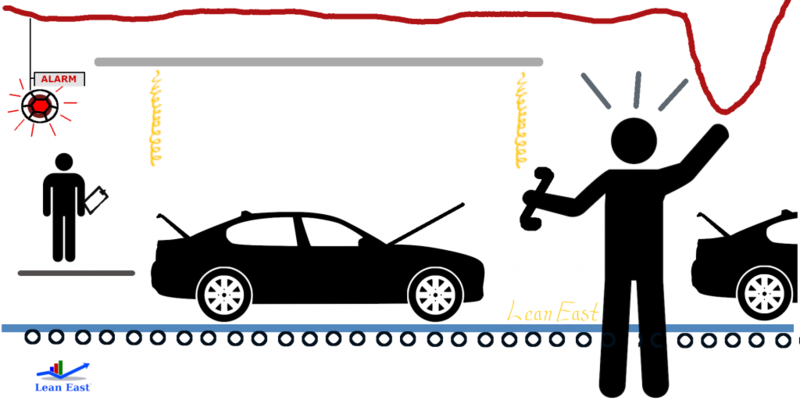 Toyota’s Andon cord allows each assembly line worker to stop the entire line if there is a problem. Many leaders share sandwich feedback – a positive employee attribute or success followed by negative feedback that needs attention and closing with another positive. The high-performing cultures Coyle visited when researching the book separated these discussions. Negative feedback was handled by dialogue, after first asking if the employee wanted feedback. Positive feedback was given in bursts of recognition and praise. Group cooperation is created by small, frequently repeated moments of vulnerability, so don’t be afraid to show your team that you are a human too! The team needs to know that it is safe to tell the truth. Another tip is to request feedback in a simple ask like, “What one thing can I do to make you more effective?” Asking for one thing makes it easier to answer. “I screwed that up” are the most important words any leader can say. Don’t presume that cooperation will just happen on its own – be explicit and persistent about sending expectations for cooperation. This deals with the tension in an up-front honest way that avoids misunderstandings and creates clarity and connection. Aim for radical candor – feedback that is smaller, more targeted, less judgmental but still impactful – to maintain safety and belonging. Hold project review and other feedback sessions to create habits of reflection and vulnerability. Get used to identifying the issues and opportunities so you can make improvements. Performance evaluation often is high-risk and has salary-related consequences. Development conversations are about providing support and opportunities for growth. Linking these conversations muddies the waters. Several leaders of successful groups make it a habit to occasionally leave the group alone at key moments. Forcing your team to not rely on you will make it stronger. Leaders must establish a clear vision and target, and listing priorities is often a first step. Coyle notes that the greatest project is building and sustaining the group itself. If you get your own relationship right, everything else will follow. When executives were asked to estimate the percentage of employees who could name the top three priorities for the year they predicted 64% could. When asked, it was 2%. Any large company will have similar results unless you are about ten times as clear about your priorities as you think you should be. Creativity is needed when your team is trying to do something new. Provide support and allow employees to make mistakes. Every group skill can be sorted into either a skill of proficiency or a skill of creativity. Proficiency is about doing a task the same way, every single time. For this, leaders must spotlight the goal and provide clear direction. Creativity skills are needed when you are doing something that has never been done before. For creativity, leaders must provide support, fuel, tools, and be a protective presence. Know whether the key is proficiency or creativity and tailor leadership accordingly. Encourage your team to identify a fun catchphrase that clarifies your mission and purpose. This will be memorable to the team and nudge their behavior towards what you seek to achieve. It is often the simplest of habits that lead to large differences in an outcome. Leaders should focus on these details and reward the hard, behind-the-scenes work done by members of the team. This work often sets the bar for the entire team effort. Avoid having metrics that lead to the wrong outcomes. For example, a metric focused on number of customer calls answered per hour encourages short calls rather than successful outcomes. Please share this summary with others and leave a comment below if you find these ideas for action helpful.